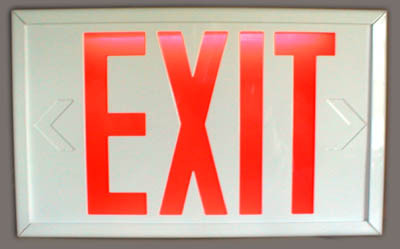 Wattman LED Exit Lamp retrofits your existing Exit fixture with our LED lamp with just “a twist of the wrist!” The Wattman uses one watt of energy, Screws or snaps into existing sockets like a regular light bulb, no rewiring required. Eliminates maintenance costs, Unconditional 25 year guarantee! Life expectancy 50-80 years while providing uniform lighting. Non-breakable housing, Available in Candelabra, Intermediate and DC Bayonet bases, Surge protected, Dual circuit for longer life, Can be Blinked, UL & CUL listed, complies with OSHA,NEC and NFPA. Bright Idea, the revolutionary new night light. Ideal security lighting for: homes, hotels, schools, hospitals, nursing homes, or office buildings. The Bright Idea is child safe, unbreakable & tamper proof and comes with an unlimited warranty. Useful applications include: Railways, Entrances, Bathrooms, Kitchens, Children’s Rooms, Nurseries, Bedrooms, Laundry Rooms, Garages, Attics and Porches. Bright Idea uses only 1.5 watts, is Maintenance free, Unbreakable lens/ no glass. 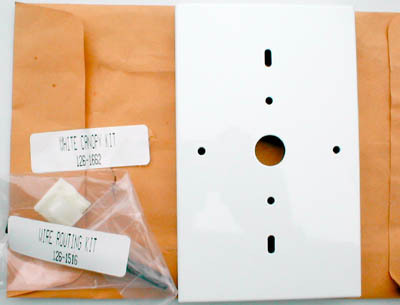 Also available in a White or Ivory tamper proof duplex face plate. Quantities Limited to On Hand In factory sealed boxes. First come first serve. Freight and terms apply.